Born in Brooklyn, New York, Omar draws upon 23 years of experiences and formal training with masters like Henry Letang, Jimmy Slyde, Marie Brooks and his legendary cousin Savion Glover. Omar has taken his “foot music” to over 20 countries, places like Australia, Japan, Germany, Portugal and many more. His accomplishments include being the feature dancer in the Broadway show Bring In Da’ Noise, Bring in Da’ Funk, and an international tour of the hit show Black and Blue. Omar starred for seven years as the "Sandman" on the legendary T.V. show Showtime at the Apollo, as well as being featured in the musical movie Camp. Some of his concert credits include performing with Alicia Keys live at the Hollywood Bowl and dancing for rappers Common and Mos Def on their production of the song The Questions. He has performed with Savion Glover live at the White House and also as a featured guest on the Ellen DeGeneres Show. Omar has received a Bessie Award Nomination (New Victory Theatre NY) for featured dancer and a Broadwayworld.com LA Award Nomination for best featured actor. 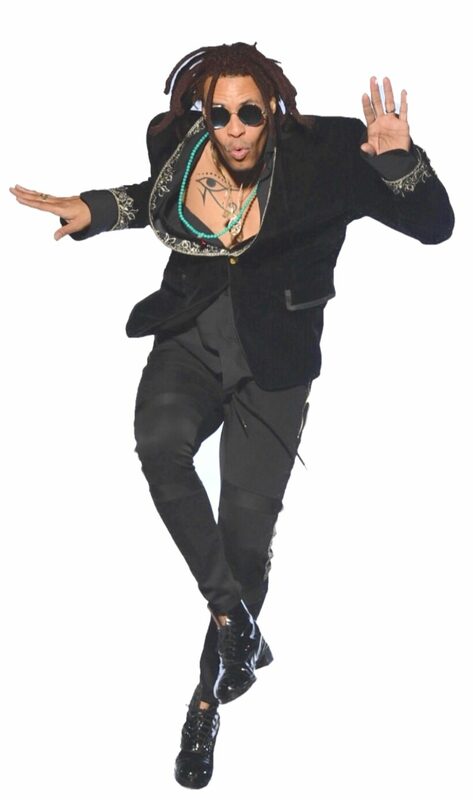 In 2018, Omar joined with five legendary tap artists (connected through their Broadway performances in Bring In Da’ Noise, Bring in Da’ Funk) at Washington DC’s Kennedy Performing Art Center for an encore performance staged to honor the roots of tap dance.